Flaxseed meal, or ground-up flaxseeds, is more of a silent partner than a big bold star in plant-based cooking, but it’s incredibly valuable because of its nutrition and texture. Flaxseed meal is one of the most commonly recommended vegan egg substitutes in baking, because if you mix flaxseed meal (1 Tablespoon) and water (3 Tablespoons) and let it sit a few minutes, the mixture takes on the viscous consistency of an egg. You can also add a tablespoon of flaxseed meal to smoothies or oatmeal, or a few tablespoons to a pot of soup for the same thickening effect. Recipes that call for flaxseed meal as an egg substitute will provide instructions on how and when to combine it with water and add to the rest of the ingredients. If you have recipes that call for eggs, try substituting flaxseed eggs (1 Tablespoon flaxseed meal and 3 Tablespoons water for each egg – mix them together and let them sit 5-10 minutes before adding to the rest of the ingredients). The reason to find ways to eat flaxseed meal is that it’s so nutritious. Flaxseeds contain fiber, antioxidants, and Omega-3 fatty acids that are very good for your health. Omega-3 essential fatty acid sare "good" fats that have been shown to have heart-healthy effects. Lignans have plant estrogen and antioxidant qualities. Fiber is great for the colon and for helping to prevent chronic diseases. Note that unground flaxseeds can go straight through your digestive tract without breaking apart, meaning that these wonderful nutrients are not released and absorbed. I just buy flaxseed meal already ground. Flaxseed meal is now sold in most grocery stores, including many bulk sections—that’s the most cost-efficient way to buy it. It is definitely available in natural food stores. Tagged: What is Flaxseed Meal? What is Chinese Roasted Sesame Paste? Over the years—no, decades—one of the hardest dishes for me to re-create at home was Cold Sesame Noodles. I ordered them almost every time I ate at a Chinese restaurant (as a vegetarian; unfortunately most places use egg noodles). I adored those thin noodles tossed with the sweet-salty, peanuty, sesame-infused sauce. But I could never get close to the taste and texture in my own kitchen, no matter what recipe I tried. Until now. Finally a recipe by Sam Sifton in the New York Times for Takeout-Style Sesame Noodles clued me into roasted sesame paste, also known as Chinese sesame paste. It’s a thick, dark-brown paste made from roasted sesame seeds. You can find roasted sesame paste in Asian grocery stores or online. I drove to the closest Asian grocery store here in Portland and found the elusive ingredient with the help of the staff. The kind I got is translated as “Original sesame jam,” and, in addition to sesame seeds, it contains a little soybean oil, soybeans, and peanuts. There are brands made with 100% sesame seeds (for example, Wang Zhihe Pure Sesame Paste available on Amazon). You may be familiar with tahini—a paste made from raw or lightly roasted sesame seeds. Chinese sesame paste smells and tastes more like sesame oil than tahini. Its glorious deep-roasted taste has a slightly bitter edge that only enhances the flavor, in my opinion. It will not be a strange, new flavor if you have used and liked sesame oil. The good news for health-conscious cooks is that roasted sesame paste can substitute for sesame oil in many recipes. In recipes where sesame oil is used in a sauce, you can experiment by substituting the same measure of sesame paste as oil, plus the same measure of water as oil. My adaptation of Sam Sifton’s Takeout-Style Sesame Noodles recipe—Cold Sesame Noodles, Without Oil—eliminates the sesame oil, increases the sesame paste and water, offers an alternative to sugar (date paste), and has notes about non-egg noodle choices. I also created recipes for Moo Shu Vegetables and Candle-Café-Inspired Stir-Fry that use roasted sesame paste instead of sesame oil. Be aware that sesame paste is quite thick, so you need to make sure that any thick lumps are smoothed out before putting it into a recipe, unless you’re adding it to a blender or food processor, in which case the lumps will be taken care of. I use a fork to mix the paste in its jar before measuring out what I need, the same way I wrestle with tahini and natural peanut butter to achieve a smooth texture. Tagged: What is Chinese Roasted Sesame Paste? Nutritional yeast is not the kind of yeast that expands and bubbles in bread doughs. It’s deactivated and comes in the form of yellow flakes or powder. It has a pleasant cheesy flavor and is used in many plant-based recipes and as a topping for dishes and snacks. 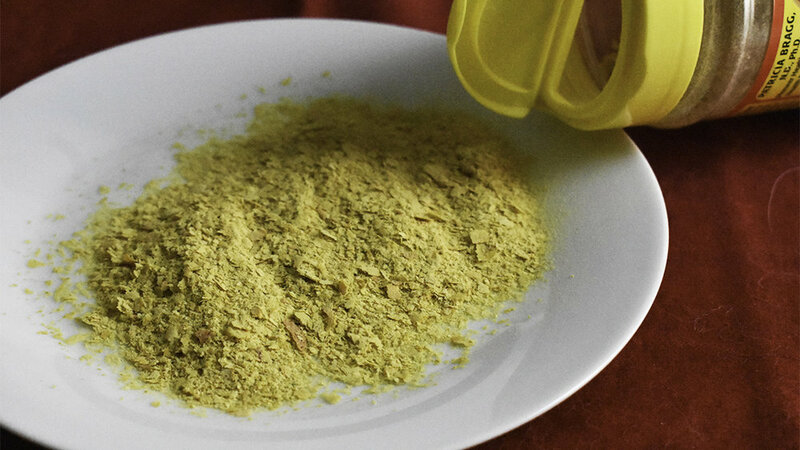 Nutritional yeast is also different from “yeast extract,” which is a dark brown paste. Nutritional yeast is made by letting yeast grow in a glucose solution for a few days. Then the yeast is deactivated with heat, washed, dried, and packaged. Nutritional yeast is popular as an ingredient in dishes where a cheesy flavor is desired. It’s used in recipes like Gracious Vegan Creamy Tomato Sauce, Sun Dried Tomato Risotto, Green Goddess Garlic Dressing, Creamy Broccoli Soup, and No-Oil, No-Butter White Sauce. It’s also used in recipes for plant-based cheeses, like Gracious Vegan Parmesan Cheese and Gracious Vegan Ricotta Cheese. Many people sprinkle nutritional yeast on popcorn. Nutritional yeast is an excellent source of fiber and protein. Many brands of the yeast are also fortified with iron and B vitamins, including the all-important B12, which vegetarians and vegans need to make sure they get enough of, given you can’t get enough from plant foods. Taking B12 supplements is probably a less expensive and easier source of Vitamin B12 than nutritional yeast for most people. The fiber in nutritional yeast, according to recent research, may help stimulate the body’s immune defenses. In one study, people who ate the equivalent of a spoonful of nutritional yeast a day experienced a 25% reduction in the recurrence of common cold infections and, if they did get sick, a decrease in cold-related sleeping difficulties. Nutritional yeast is now sold in most grocery stores, including many bulk sections, too—that’s the most cost-efficient way to buy it. It is definitely available in natural food stores. Tagged: What is Nutritional Yeast? The question of how to cook quinoa elicits strong opinions from those who make it often. Find the way that matches your taste preference and cooking style and go for it. Pre-toast? Some cooks swear by pre-toasting the quinoa. It’s worth a try if you are a quinoa fan or didn’t like quinoa the first time you tried it. Amounts.The quinoa will about triple in size, so start with one-third of the final amount of cooked quinoa you want. Cooked quinoa also freezes well, so you might want to make a good amount and freeze it in 1- or 2-cup amounts. Soak, rinse, and stovetop. Soak the quinoa in plenty of water for at least 30 minutes, up to 24 hours. Drain and rinse the quinoa using a mesh strainer. Put the quinoa in a saucepan with as much water as the amount of dry quinoa you started with (e.g., 1 cup), plus a little salt, bring to a boil, turn down the heat, cover the pot, and simmer about 10 minutes. Pre-toast, rinse and stovetop. Pre-toast the dry quinoa (or skip this step) by pouring the measured dry quinoa into a sauté pan or skillet and turning on the heat to medium-low. Within a couple of minutes the quinoa starts to smell a bit like popcorn and begins popping. Once it pops a minute or two, take it off the heat. Then rinse thequinoa using a mesh strainer (or you can skip this step too). Put the quinoa in a saucepan with twice the amount of water as the amount of dry quinoa (e.g., 1 cup quinoa, 2 cups water), plus a little salt, bring to a boil, turn down the heat, cover the pot, and simmer for 15 minutes, then turn off the heat, keep the cover on, and let the quinoa sit for 10 minutes. Instant Pot or other pressure cooker.Rinse the quinoa if desired. Optional to spray the insert pot with spray oil to keep the quinoa from sticking to the pot. For each cup of quinoa, use 1.5 cups water. Put them (and a little salt) in the pot, lock the lid and set the steam valve to the “sealing” position. Select “MANUAL” button and cook for 1 minute on high pressure. Allow the pressure to release naturally for 10 minutes and then release any remaining pressure. 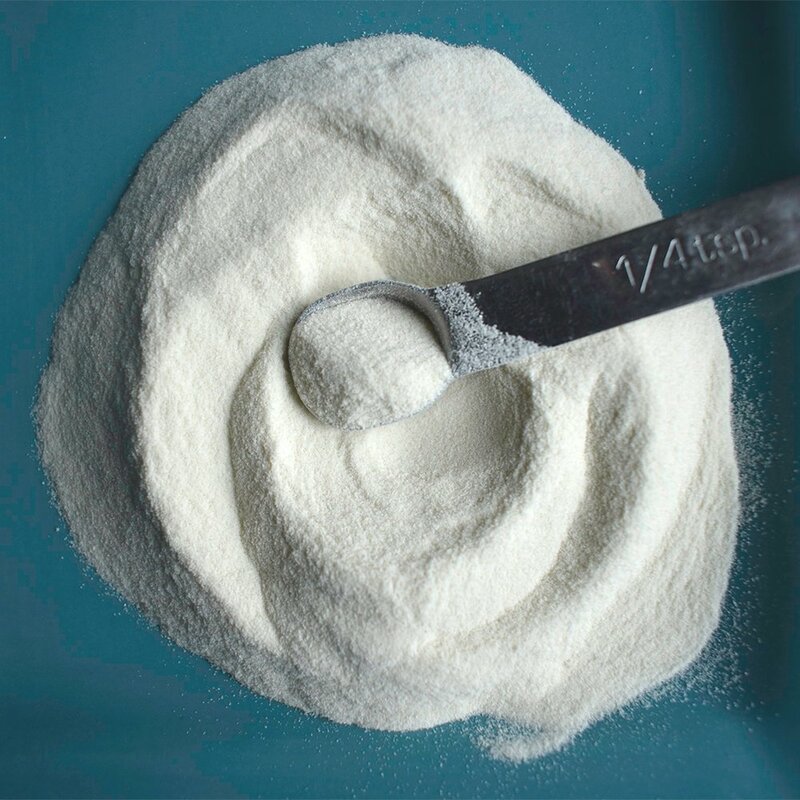 Xanthan gum is used in many manufactured food products because it helps thicken foods and keep ingredients blended while they sit on the shelf. Salad dressings, ice creams, and yogurt are commonly made with this ingredient. It’s popular in gluten-free baking circles, too, because it provides elasticity and stickiness in doughs that don’t contain gluten. Invented in the 1960s, xanthan gum is made by fermenting sucrose, glucose, and lactose with a bacteria, Xanthomonas campestris, then drying the mixture and grinding it into a fine white powder. You can find xanthan gum in some supermarkets’ bulk sections, allowing you to buy just a little at a time. It’s also sold in packages by Bob’s Red Mill and others. Bob’s is vegan—check the label to be sure. I use xanthan gum in egg substitutes, such as Baked Indian Fritters. My first “miso moment” came as I was searching for a vegan pesto recipe. I wondered if there could really be a substitute for the salty, earthy, slightly tangy undertones of parmesan cheese. The pesto recipe in The Candle Café Cookbook called for one tablespoon of sweet white miso along with basil, oil, nuts, and garlic. I was desperate to find a solution to my pesto problem, so I drove to the nearest natural food store and wandered the aisles until I found miso. The result was an epiphany! The pesto was as good as any I’d ever eaten. I was smitten. I’ve since tweaked Candle Café’s approach and created my own Gracious Vegan Basil Pesto recipe. Of course, the irreplaceable miso is still there. Miso basics. Miso is a paste made from infusing soybeans with a mold called koji. The mixture (with salt added) is fermented for weeks, months, or even years, and the enzymes in the koji break the beans down into a thick paste. Traditional miso is made from soy, but miso can also be made from barley, rice, or other grains. Japan is the birthplace of miso, and the paste’s history goes back thousands of years. What miso tastes like. Miso is not spicy-hot at all. It has a salty, earthy flavor. There are many kinds and colors of miso, so you might hear about “red miso,” “white miso,” or “barley miso.”Generally speaking, the lighter the color of the miso, the lighter and sweeter the taste. Red and brown misos are the tangiest, with a deep earthy (or umami) flavor. If you’re reluctant to try new things like miso, start with white miso. How to find miso. Most large grocery stores stock small white plastic tubs of miso near the tofu, dairy substitutes, and vegetarian meats. Asian grocers often carry a larger variety of miso, some in sealed plastic bags or clear plastic tubs. How to store miso. Miso keeps a long time, like most fermented foods. It can last 9-12 months in the refrigerator in a container with a tight lid. What to make with miso. Miso is not meant to be eaten straight out of the container. The most common use of miso is miso soup. It can also star in gravy, stir-fry sauces, and as part of a paste for broiling tofu. Here are two of my favorite dishes with a healthy dose of miso: Candle-Café-Inspired Stir Fry and Creamy Broccoli Soup. 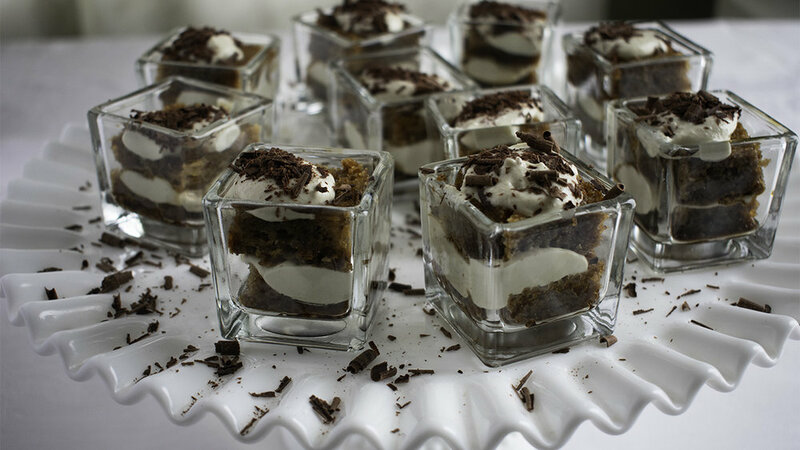 As in my pesto recipe, miso can also be a small but foundational ingredient in vegan cheeses (see my Gracious Vegan Parmesan Cheese and the Mascarpone in my Rich and Creamy Vegan Tiramisu). Don’t boil miso if you can help it. The healthy probiotics that miso contains (because of the fermentation process) can be broken down in boiling liquids, so it’s important to heat foods containing miso just until hot, not to the boiling point. Miso’s nutrients. Although miso has a relatively high level of sodium (200-300 milligrams per teaspoon), recent research has shown that miso does not seem to affect our cardiovascular system in the way that other high-sodium foods can. Miso contains copper, manganese, Vitamin K, and a number of phytonutrients that nutritionists are just starting to understand. There appear to be only upsides to eating miso. Given how its unique flavor adds a flavor bump to all sorts of dishes, it’s worth a try if you don’t use it already. Tempeh—like tofu and seitan—is one of those foods you might be reluctant to try. It seems a bit risky, right? What’s inside that rectangular, bumpy, vacuum-sealed package? How it’s pronounced. It’s pronounced “tem-pay” with both syllables accented equally. It’s a great source of protein: about 18 grams of protein per serving, about the same as a breakfast of two eggs and two strips of turkey bacon. It’s also high in fiber, calcium, and iron and is free of cholesterol. How it’s made. Tempeh originated in Indonesia and is made from soybeans. The soybeans are partially cooked then fermented. This controlled fermentation process binds the soybeans together into a cake form. Some tempeh is made with added whole grains (e.g., “5-Grain Tempeh”). Tempeh’s flavor has been described as nutty, and its texture as chewy—some say it’s meaty. Like tofu, it picks up the flavors of whatever it’s cooked with. How it’s used. Some cooks use thin slabs of tempeh for sandwiches. The tempeh is often steamed or boiled first to loosen up its texture, then either fried, sautéed, or added to a dish. Diced or grated tempeh is used in chili, stir-fries, soups, salads, and stews. Why I like it. I really like tempeh because of its texture, which is firmer and chewier than tofu. It doesn’t have a strong taste on its own, which means it goes with everything—the little black dress of the soybean world. For a few recipes and menu ideas with tempeh, see these tempeh posts and recipes on my website. If you like those, explore the internet for many more. Tempeh freezes well and is available at health food stores, Trader Joes, and in many supermarkets. Seitan is an excellent source of protein. It has over twice the protein of tofu, 50% more than beef, and the same amount as a cup of cooked lentils. Its texture is dense and chewy, which is why a lot of plant-based cooks use seitan as a meat substitute. Another nice thing about seitan is that it’s already cooked, making it very easy to work with. Seitan’s origins date back to ancient China. It was made by creating a dough of flour and water, then rinsing the dough in water until the starch and bran washed away. All that remained were the gluten proteins, which made a stiff, elastic dough. This dough was simmered in a broth, cut into bite-sized chunks, then usually fried or sautéed. The name for this is usually translated as “wheat meat” or “mock meat” in the U.S.
Chinese mock meat is technically not seitan, which is a very similar wheat gluten product flavored with soy sauce. The name was coined around 1960 in Japan. Like Chinese mock meat, seitan is chewy, flavorful, and moist. You can find seitan in some grocery stores and in almost all natural food stores. You can also make seitan yourself using powdered vital wheat gluten. There are many recipes for homemade seitan. You can slice or chop seitan and use it in sauces or stir-fries. A search on the internet will turn up hundreds of recipes. I combined many of my favorite flavors in this recipe: Banh Mi Sandwiches with Seitan. Photo of seitan stir-fry by John on flickr. What's With the Vegan Obsession with Cashews? If you haven’t tried using cashews as a substitute for cream, or for making plant-based cheeses, you’re missing out on a tasty alternative to dairy products. Cashews are a soft nut. When you soak raw cashews in water, then blast them on high in the blender with some water, they dissolve and make a thick, smooth nut cream that can play many roles. Some nuts, like almonds, are much harder and take longer soaking and blending times to reduce them to a smooth consistency. Cashews are great in soups and as part of sour-cream-like appetizer dips. Cashews also help make sauces creamy. Cashew cream can substitute for coconut milk, saving about 12 grams of saturated fat (the amount found in a Burger King Whopper) per serving. It’s easy to combine cashews with a few other ingredients to make cheese and sour cream substitutes. Cashews can be made into a wonderful whipped cream substitute and as part of other creamy desserts. Cashews and “cashew cream” are a fantastic way to please the palate while avoiding the cholesterol, hormones, and toxins in dairy foods. Tagged: What's With the Vegan Obsession with Cashews? Thank you! You will receive your first newsletter soon! Sep 19, 2018 What is “Nutrient Density”? Sep 19, 2018 What is “Caloric Density”? Apr 6, 2019 What is Flaxseed Meal? Jan 23, 2019 What is Chinese Roasted Sesame Paste? Dec 22, 2018 What is Nutritional Yeast? Nov 1, 2018 What is Xanthan Gum? Sep 3, 2018 What is Miso? Jul 28, 2018 What is Tempeh? Apr 27, 2018 What is Seitan? Jan 22, 2017 What's With the Vegan Obsession with Cashews? Dec 18, 2015 Printable Guide: "How the Dozen Largest Chain Restaurants Rate on Plant-Based Options"
Copyright© 2018 Linda Tyler. All Rights Reserved.